As the designer has said previously, "We should just try to make every woman feel great about herself." 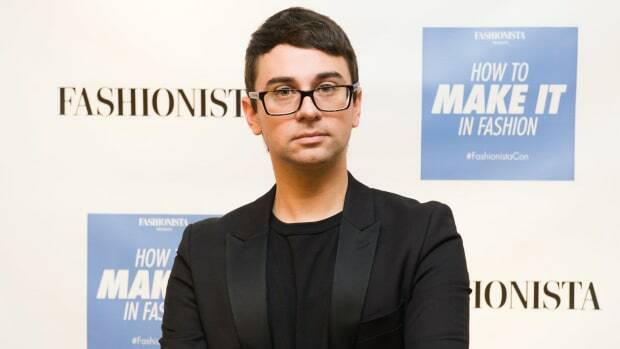 If there&apos;s one American designer who really, truly empathizes with the American woman, it&apos;s Christian Siriano. The 30-year-old wunderkind received a sea of praise after (very publicly) dressing "Ghostbusters" star Leslie Jones in July, but he&apos;s been a champion of consumers of all shapes, sizes and skin tones for his entire career. (A high-profile, critically acclaimed collaboration with plus-size retailer Lane Bryant in May only solidified this.) But it&apos;s one thing for a designer to advocate for women above a size zero, and quite another to actually create that change on the runway. This season, Siriano did just that. For his spring 2017 show, Siriano culled together a cast of models that was, by far, the most diverse presentation we&apos;ve seen all season — and it was certainly appreciated by the show&apos;s audience. When Swedish model Sabina Karlsson took to the runway wearing a long-sleeved seafoam dress with side cutouts, the extensive front row — including Christina Hendricks, Anna Kendrick, Neve Campbell, Pamela Anderson, Jaimie Alexander, Kelly Osbourne and more — clapped and cheered, prompting other attendees to chime in. A number of plus-size models followed, including one wearing a sky blue, button-down tank dress and another in a billowing pant-and-cropped blouse set. And that&apos;s not even touching on the catwalk&apos;s abundant racial diversity, which is worth highlighting in light of the fall 2016&apos;s season&apos;s disappointment; Demna Gvasalia, for one, included not one model of color in either of his casts for Vetements or Balenciaga. 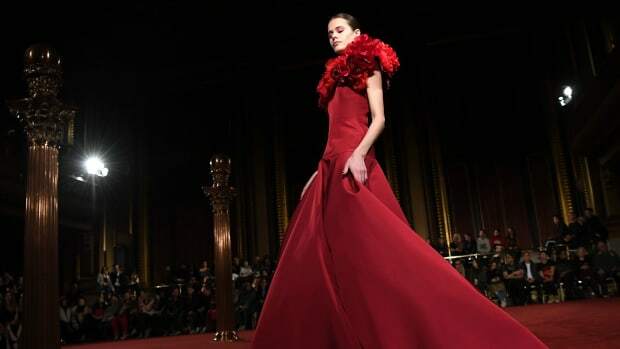 The vast diversity of Siriano&apos;s runway isn&apos;t only well-appreciated by editors and consumers alike, but it&apos;s timely, too: On Thursday, the first official day of NYFW, The Washington Post published a blistering column by another "Project Runway" personality, Tim Gunn, that condemned designers for refusing to make clothing that fits the average woman. This disgrace starts all the way at the top — in 2009, Karl Lagerfeld said "no one wants to see curvy women" on the runway. "But this is now the shape of women in this nation, and designers need to wrap their minds around it," Gunn wrote. "I profoundly believe that women of every size can look good. But they must be given choices." And choices Siriano delivered. Abiding to a Don-Draper-on-vacation-in-Hawaii-esque aesthetic, the collection was loaded with chic, colorful options — a slick, red, patent leather trench coat played nicely opposite the more formal options, which included voluminous evening gowns and flirty cocktail dresses. Each piece played double-duty, somehow looking as if it had been plucked from the &apos;60s-era French Riviera while also feeling fully contemporary. Siriano&apos;s latest show may have only made a small dent in a much larger, more institutionalized issue now, but it&apos;s an important change nonetheless. See Siriano&apos;s full spring 2017 collection in the gallery below. "We're making emotional things that people live their lives in, and that's important."